White hand-dubbed cassette with printed labels and hand-numbered, double sided 3-panel sleeve in a crystal clear case. Comes with a download code. Limited to 25 copies. 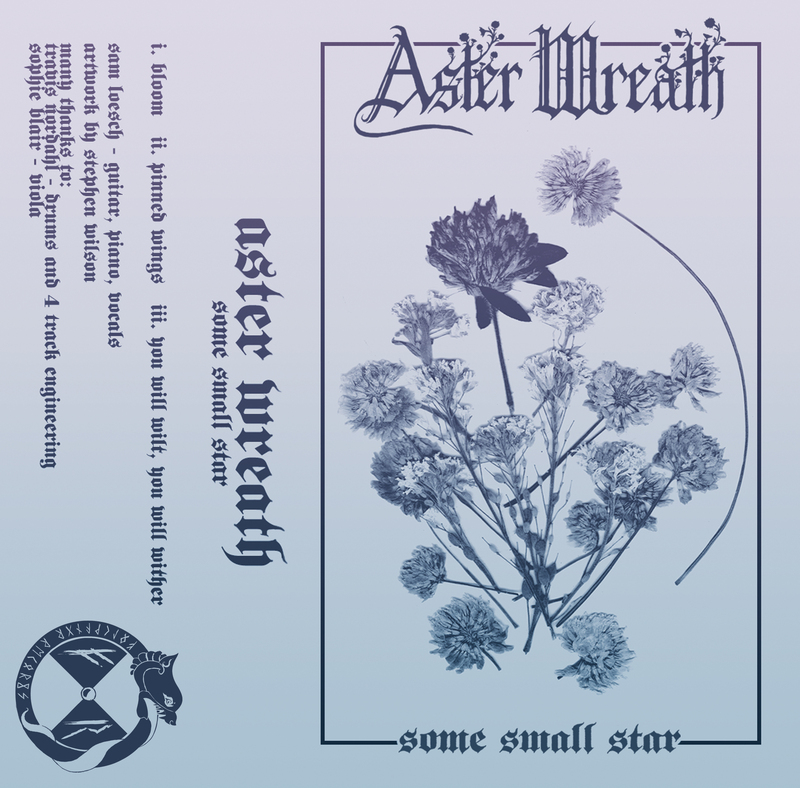 Aster Wreath is a new solo project from Sam Loesch of St Paul, MN. This EP is three tracks of lo-fi "delicate raw black metal" that is over too quickly and bears repeating.